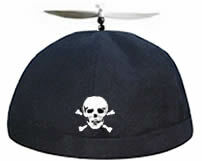 Celebrate iCal Day with your own iCal Day hat! 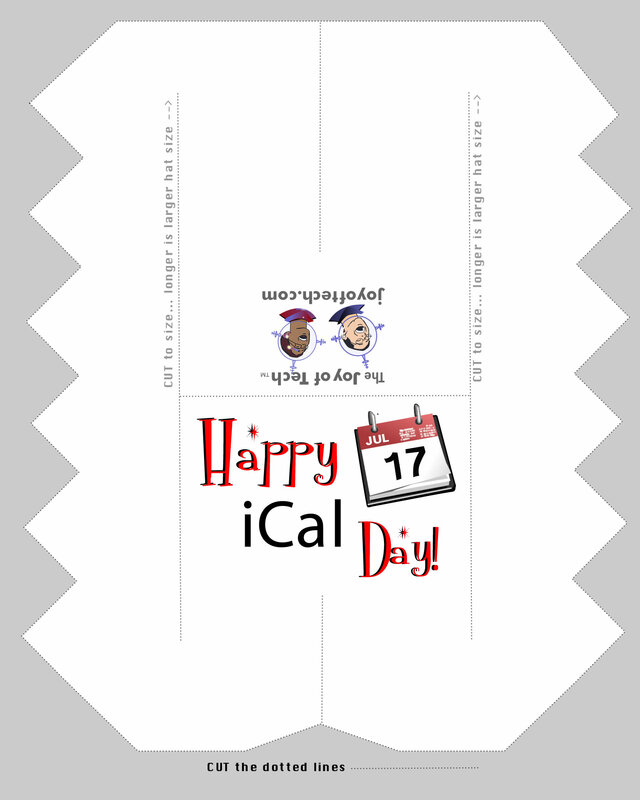 It's that time of year again, coming up to July 17th... time to celebrate iCal Day! What is iCal Day you ask? Why celebrate such a stupid thing? Why not? Life is far too short not to take every reason to celebrate, especially for those of us in the tech industry. And what better reason to put a smile on your face than to celebrate an application that helps you plan your day, your week, your life. Sure, we all know iCal isn't perfect, but now is not the time to go all iScrooge on us. 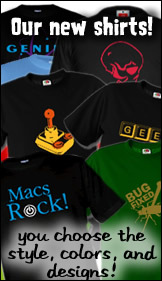 This is a time for geeky revelry, to rejoice in the joy and wonder that such a day inspires. And do you have to use iCal and Mac OS X to join in the celebrations? Of course not! We iCalDayians welcome those from any OS to join us on our day of commemoration. Remember that the true meaning of the season is about giving thanks to all the hardworking iCal software engineers, and by extention, all those other geeks out there who help us make the best of our short and precious time here on Planet Earth. Oh my gosh, the magnitude of this holiday always brings tears to my eyes! Of course iCal Day wouldn't be iCal Day without some kind of appropriate headwear. You're in luck, as we here at the Joy of Tech have provided just such an animal for you, free of charge or obligation! Just download the appropriate file and print it out on a standard 8x10 inch piece of paper. Available as a 200 dpi jpeg, or a pdf. 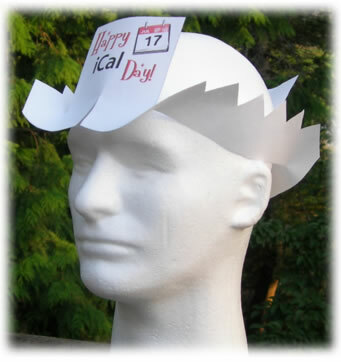 Follow the cutting instructions, adjust the size by cutting a little more here and there, and there you go... your own iCal Day hat! If you are feeling extremely creative, try customizing your iCal Day Hat. For instance, by cutting a curved line along the edge of the paper instead of the classic party hat zigzag, you can create cowboy hat-like headwear... an iCalboy Hat so-to-speak. For all those who are asking... The Origin of the iCal Day Hat. As part of our 2007 iCal Day celebrations, we created an iCal Day comic. During the making of said comic, we realized that this was also an excellent opportunity to create a goofie download. So, while Nitrozac finished drawing the comic, Snaggy set out to create what at the time seemed an insanely impossible dream... an iCal Day Hat that anyone could make from a single piece of 8x10 paper. By chance, earlier in the week, Snaggy had seen Robert Krampf's Science Experiment Video Going Through a Card, in which he starts out with a standard 3x5 index card, then cuts a hole in it that is large enough for him to fit his body through. Snaggy realized that by applying these same principles of typology, he could create a hat with a brim large enough to fit any geek's head. After a couple of bitterly disappointing tests, and much despair, he finally hit upon the solution, and we present that to you for your amusement today. Console yourself with a t-shirt, mug, stickers, or mousepad, or one of our great beanies!